We have all been guilty recently of spending too much time at our desks and not getting enough exercise or fresh air. There have been countless studies on the negative health effects of sitting for too long, as well as plenty of research to show that exercise improves wellbeing and productivity. So we challenged ourselves to get moving. 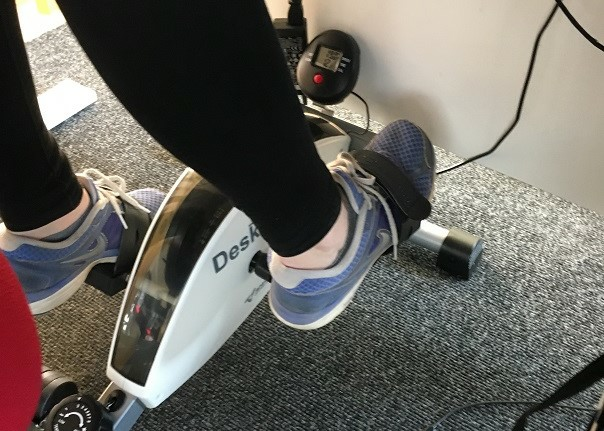 We purchased an under desk bike for both our Hertfordshire and Norwich offices, provided fitness trackers for our remote workers and resurrected our lunchtime walking club. As a team we are going to be taking part in a series of challenges to see how far we can cycle, walk and run. As part of our commitment to charity we are using this as an opportunity to raise money for some worthwhile causes, supporting a different charity during each challenge. For our first challenge we are going to be fundraising for Casa Helen, an elderly care home in Risipeni, Moldova that we already support by contributing to their regular running costs. Moldova is one of the poorest countries in Europe and severely lacks care for the elderly. Casa Helen provides them with food, warmth, shelter, healthcare and company. Find out more about this cause. We are going to try to cycle, walk and run 2322km to Casa Helen in 5 weeks. You can track our progress live here. If you would like to sponsor us in supporting Casa Helen then you can do so here. We will be matching all donations received.